Emirates’ new First Class product to be unveiled in November. Emirates’ new First Class product will be showcased at the Dubai Air Show in November. Making its debut onboard a Boeing 777-300ER, Emirates’ new First Class cabin will feature six private suites laid out in a 1-1-1 layout, compared to the existing eight private suites in a 1-2-1 layout on its existing 777 fleet.In addition to the entirely redesigned First Class product, Emirates’ new Boeing 777-300ER will also boast a range of other new features in the Business and Economy Class cabins. Emirates will announce the destinations where the new Boeing 777-300ER is to be deployed in due course. The airline pioneered the private suite concept on commercial flights in 2003, establishing a new standard for First Class travel. Emirates’ track record of successful innovations that have raised the bar for the industry in terms of inflight customer experience include: Shower Spas and the Onboard Lounge onboard its A380 aircraft, unparalleled entertainment on demand in all classes with its award-winning Ice system, and inflight connectivity through in-seat text, e-mail and telephone services, as well as mobile and Wi-Fi services. 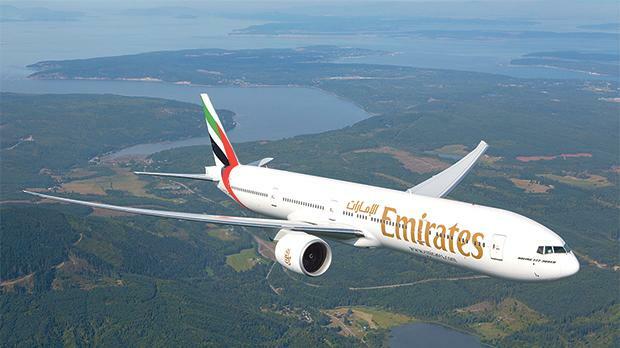 Emirates operates daily scheduled flights between Malta and Dubai via Larnaca, Cyprus on a Boeing 777-300ER aircraft.